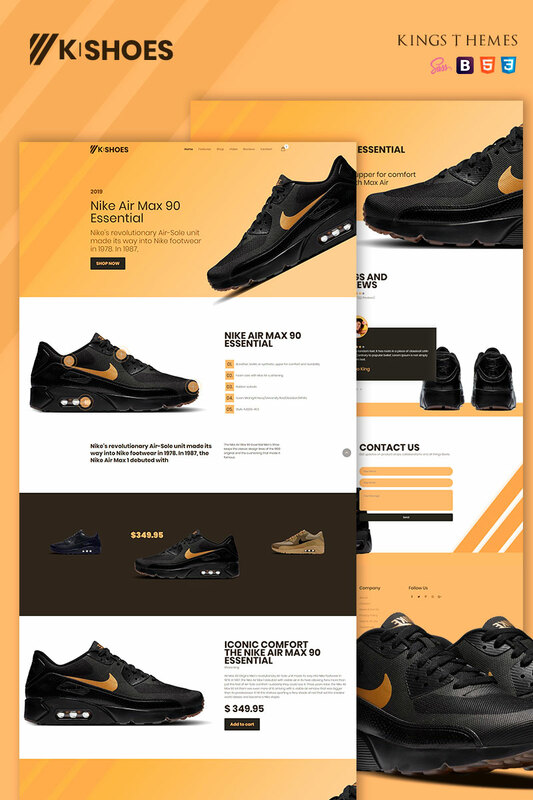 k-shoes landing page, is the newest theme of Kings themes, developed with best practices in the market, k-shoes is ideal for demonstrating your product, e-commerce. Your responsive layout will adhere to any screen size. K-shoes was developed with bootstrap 4 latest version, css3 and html5, easy to install and customize.